Chaeyeon, member of idol girl group IZ*ONE and Chaeryeong, member of ITZY, are year-old sisters with the birthyear 2000 and 2001, respectfully. Chaeyeon appeared in the survival program of Mnet ‘Produce 48’ in 2018 and went in to the final 12 candidates. Then, on January 29, 2018, she made her debut with the first album of IZ*ONE, ‘COLOR*IZ’ and started her entertainment activities. 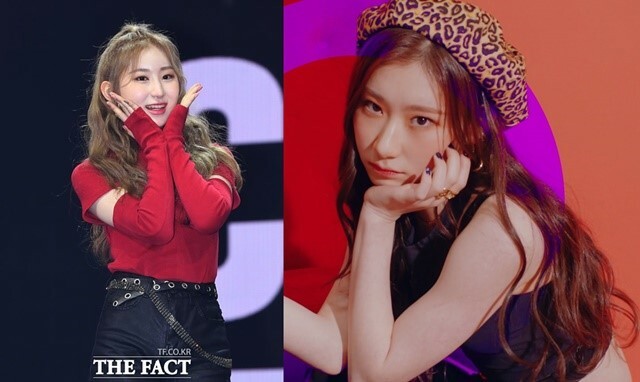 Chaeryeong was confirmed as a member of the group ITZY, a new girl group launching by JYP Entertainment in 2019. JYP Entertainment has announced on the 21st that they will be releasing a new female group ITZY, and the group consists of Yuna, Ryujin, Chaeryeong, Lia, and Yeji. Chaeyeon and Chaeryeong released their face by appearing in ‘K POP STAR Season 5-The Last Chance’ of SBS in 2013. At the time, the singer Park Jin Young looked at the stage of Chaeyeon and Chaeryeong sisters and said, “Chaeyeon is like Rain and Chaeryeong is like Se7en. One has the power and the abstinence while delivering the feelings is done by Chaeryeong. I was thinking that they can learn from each other while dancing together”.